At Blackbird Farm we know everything about our animals. We can tell you the pedigree, when the animal was born, what it has been fed, how it was raised, when it was harvested and how the carcass was graded . . . we just need you to tell us how it tastes! 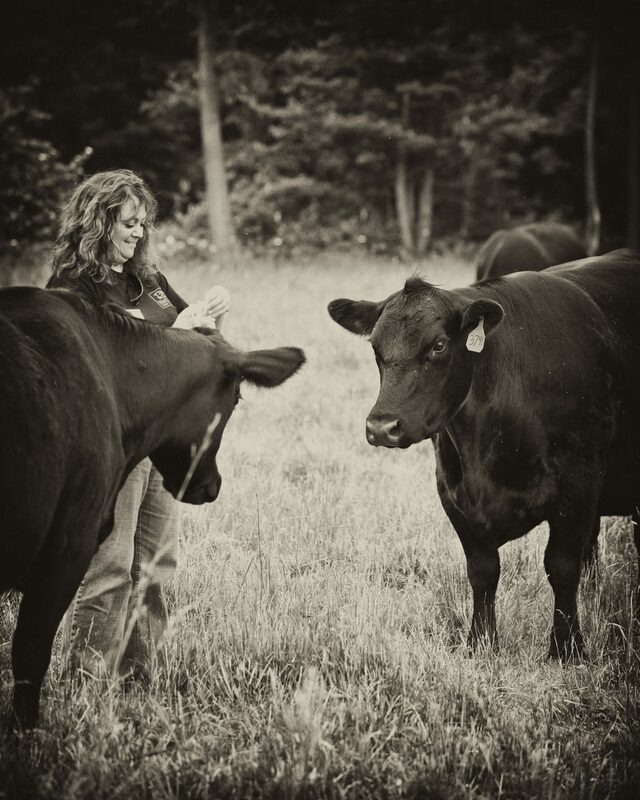 Our goal at Blackbird Farm is to produce beef with consistently juicy, tender, flavorful meat. 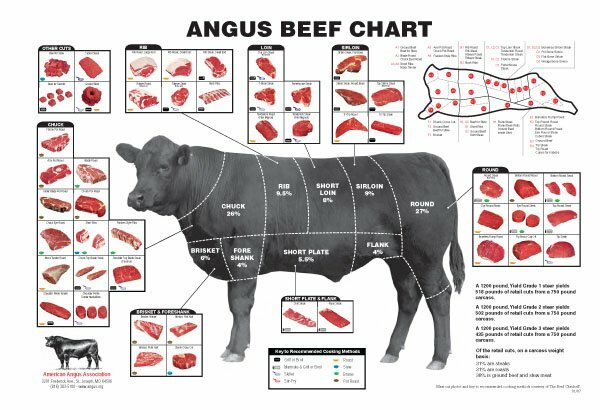 Our beef is high quality, all-natural, 100% Angus beef. 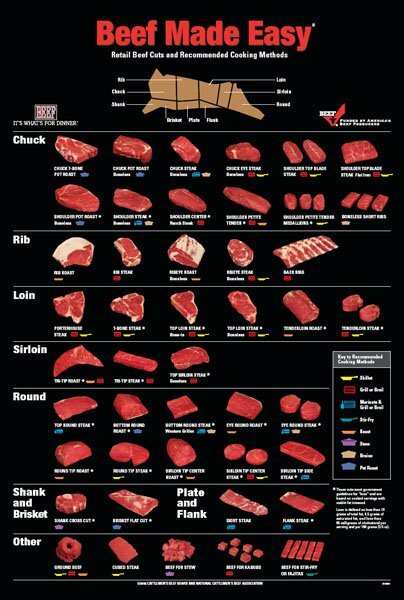 We have selected top Black Angus cows from across the country known for their carcass quality. These cows are then bred on Blackbird Farm with top Angus bulls that carry superior carcass genetics. After our calves are born, at approximately seven months of age, they are weaned and raised on pasture. Their grass diet is supplemented as needed with grain, including corn, hay and essential minerals. No hormones are injected nor fed to our animals. The steers are processed between the ages of twelve and eighteen months at a USDA inspected facility that utilizes designs by Dr. Temple Grandin. Each carcass is dry aged for 21 days to ensure tenderness and flavor, before being shipped directly to some of the best restaurants and shops in southern New England. Our beef is also butchered at the facility and individual cuts are quick-frozen for sale to the public. We have the same goal of consistently juicy, tender, flavorful meat in raising our pork. The American Heritage Berkshire Association visits the farm annually to ensure that our heard is 100% certified Berkshire. Our pigs are born in large pens. We do not use gestation crates. Mother’s are comfortably set up to give birth and nurse the piglets for no less than one month. After weaning off the piglets are free-ranged in approximately 1/2 acre wooded area to about 20 pigs where they can forage and root as they would do in the wild. The pigs are fed a hormone-free, non-GMO corn and soybean mix with all the necessary vitamins and minerals to raise to about 300 pounds. They are processed and butchered at the same USDA facility as our beef. Because of the 100% Berkshire breed certification you’ll see that our pork is a much redder color than commercially farmed pork. Our pork is not the other white meat. Please contact us with any questions or if you’d like to come by for a visit and to buy some beef. You can click on the charts below to download PDF versions. I have enjoyed your ground beef it was awesome. Now we really want to try some blackbird steaks, but every week there is never any. Can we make an order? Steaks do sell out quickly. You can ask to order in advance. Greeting from eggman Briggs I found you web page very informative & am adding it to my Facebook account. I want to thank Sarah for coming down and opening up the stand a little earlier than the hours indicated. I was coming from another part of the state and in my haste forgot to check the farm stand times. She was so kind and I got everything I needed,plus a couple of ham steaks to try. The beef is top quality, the steak melted in the mouth. I got a few more on this day. Will let you know about the ham when we get to it. Great family, great farm, we will be back. Is the grain and corn organic that you feed the cows? 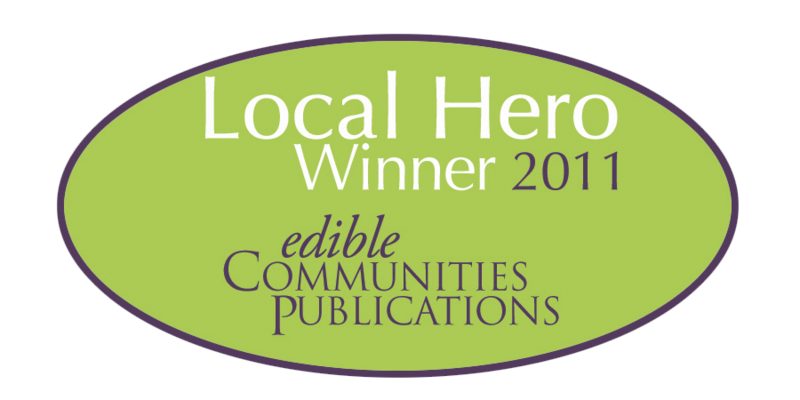 We try to source the best feed we can, it\’s always non-GMO and as best as possible we get organic as well. Have you considered selling monthly shares? IF you already do, how do I learn more about that? The Farm doesn\’t sell monthly shares, but you can pre-order large meat packages. Call Ann Marie at 401-578-3959. Are organ meat available for purchase? Are you open to purchase meats on other days other than with farmers market? Yes, the Farm Stand is open Fridays from 1-7pm, Saturdays from 9am-6pm and Sundays from 9am-4pm. Across from Terrazza, what kind of cattle are in the field? They are huge…and beautifyl. Thank you! Those are oxen named Sugar and Maple. They’re work animals (pulling plows, etc. ), though now they just live a happy life for show and pull a wagon with kids occasionally. After the black angus cows go off a grass diet their diet generally consists of G.M.O. grain. Is this how you feed these animals? No, we make sure to purchase only non-GMO grain to feed all our animals. Thank you.